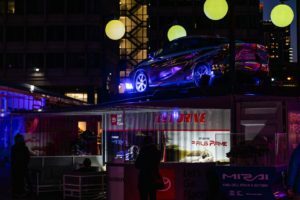 Toyota wanted to educate consumers attending HUBweek about the hydrogen fuel-cell powered Mirai while local energy providers prepare the hydrogen refueling infrastructure in the Northeast. 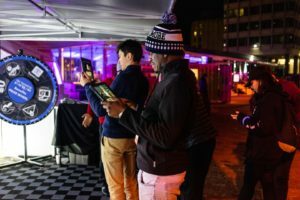 To support Toyota’s involvement as a sponsor, contributor, and exhibitor of the annual HUBweek tech celebration in Boston, MC2 developed a digital education experience within an outdoor 30’ x 20’activation footprint. The digital education experience was delivered through a custom AR (Augmented Reality) solution. The goal of this solution was to help educate and tell the story of the Mirai and its hydrogen fuel-cell technology, from its development to its successful release in California to its 2019 roll-out in Northeast region of the U.S.
We created digital assets to support the Mirai story – benefit and feature informational overlays, 3D exterior model, voice-over narration, as well as a physical asset – a large SEG lightbox as the canvas for the AR content. These assets were identified through a detailed storyboard of the experience. As a result, we were able to provide significant cost savings by allowing the external AR programmers to concentrate on developing the AR vehicle drive physics, a “gamified” UI, and packaging the iOS app. 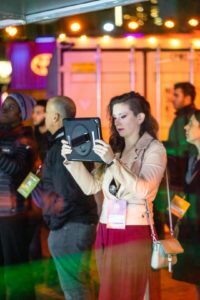 Using an iPad Pro with the AR app, the attendee aims the camera at the SEG backdrop canvas, which was an abstract road map of the U.S. with six static beacons or waypoints along the routes. Once the camera identifies the AR trigger on the SEG canvas (conveniently the Toyota Mirai logo), the canvas would come to life thus initiating the Mirai AR tour. 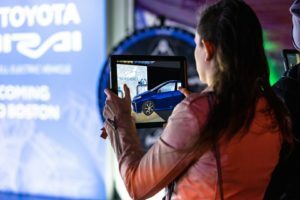 The objective for the attendee was to “drive” an overhead view of a three-dimensional Mirai vehicle game piece around the canvas, navigating all six beacons. The Mirai game piece was controlled using thumb navigation for steering and throttle/reverse on the iPad. As each animated beacon was encountered during the drive, educational content was displayed and narrated. When all six beacons were reached, it triggered another SEG canvas, perpendicular to the main canvas backdrop, to open up like a garage door, revealing the pleasant surprise of a full-scale model of the Mirai driving into the AR space. Attendees could then do a 360 degree AR walk-around of the vehicle. In tandem with the AR education game experience, attendees had the option to spin a physical 48-inch spin+win wheel. All six beacon icons from the AR game were represented on the wheel. When the wheel spin landed on one of the topic icons, the staff would ask the attendee a question related to that topic. If the attendees retained the information they encountered during the AR experience, then they received a tier one prize. If they were not able to recall, then they received a participatory prize. 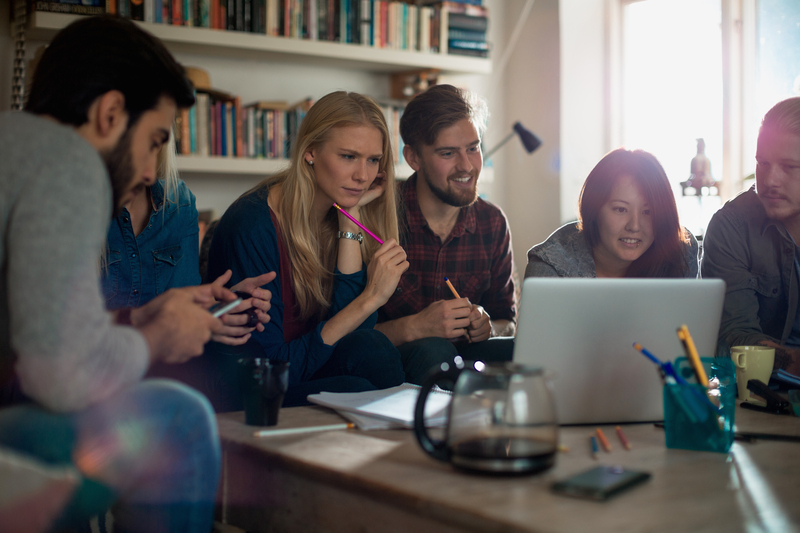 The results of this experience showed that attendees were encouraged to better mentally process the information through the AR experience vs. a traditional information source. 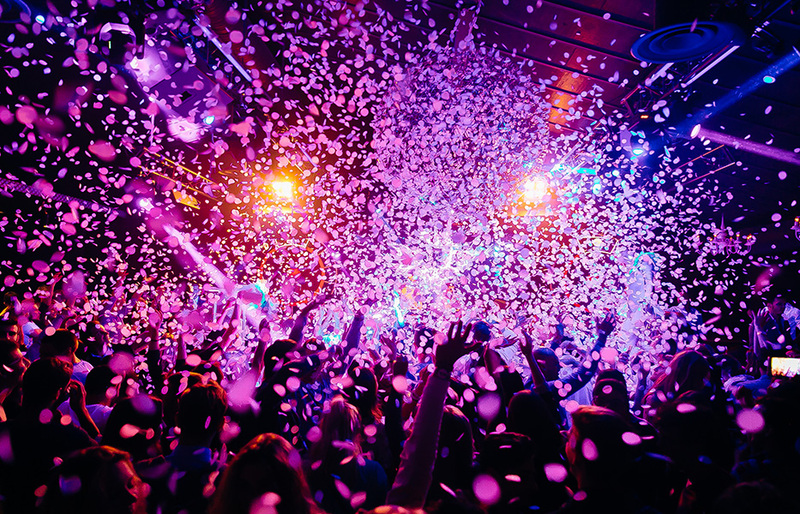 Your next experiential event can be a success just like Toyota’s at HUBweek. 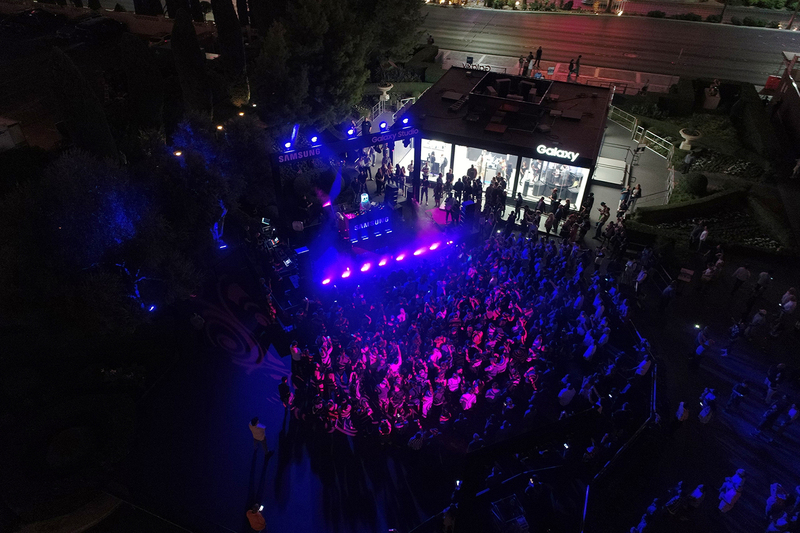 Reach out to us and let our experiential experts take over and help you grow your brand with your consumers. We received your request for “Toyota Redefines Energy Conservation at HUBweek in Boston”.